This Australian Cattle Dog/Blue Heeler nicknamed Diesel sold and went to a new family. 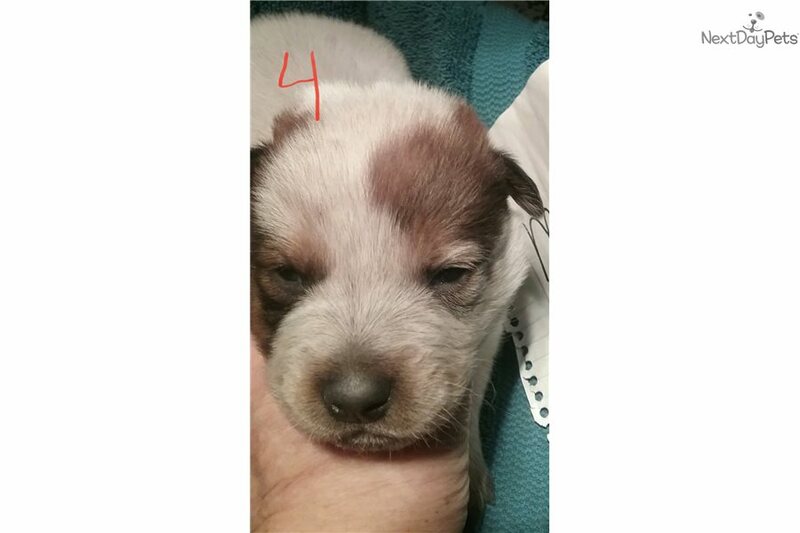 Purebred red heeler puppy. The tail has not been cut. Wormed at 2 3 4, and 6 weeks. First round of shots by vet and vet record. Dew claws removed. Excellent temperament in parents.